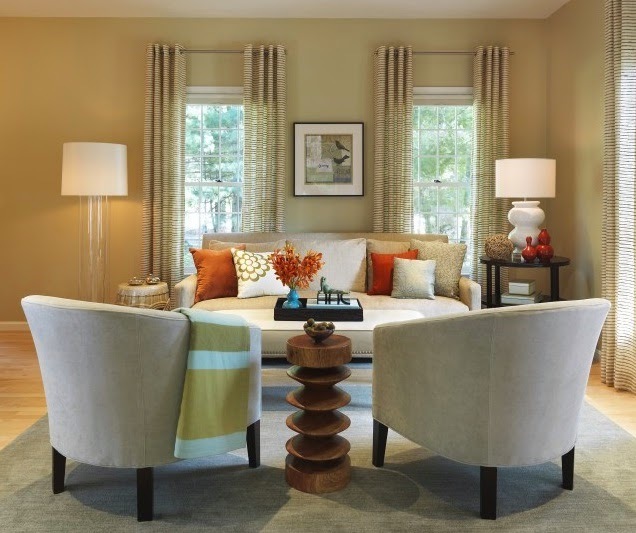 What are the 4 most important interior design tips for furnishing & decorating a home? Are you ready to furnish and decorate your home. but you’re not sure what interior design advice is helpful? 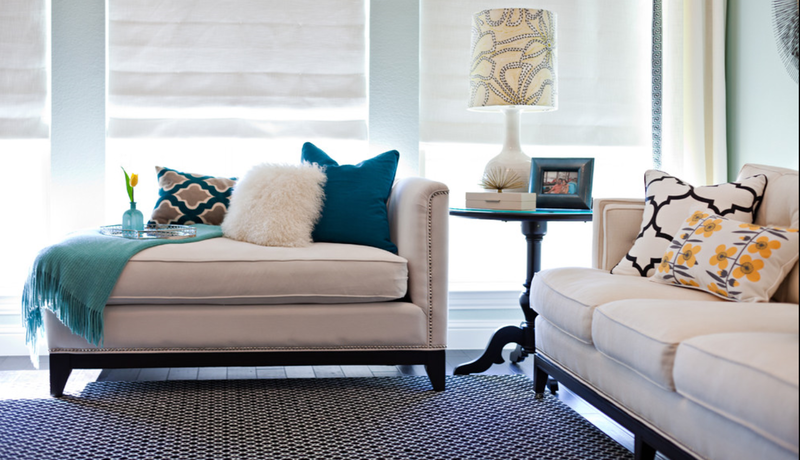 We’ll list the 4 most important interior design tips that can save you from expensive mistakes. 1) Don’t paint the walls until you have a plan. Every famous designer will stress this. There are countless articles about this in famous magazines. Why? 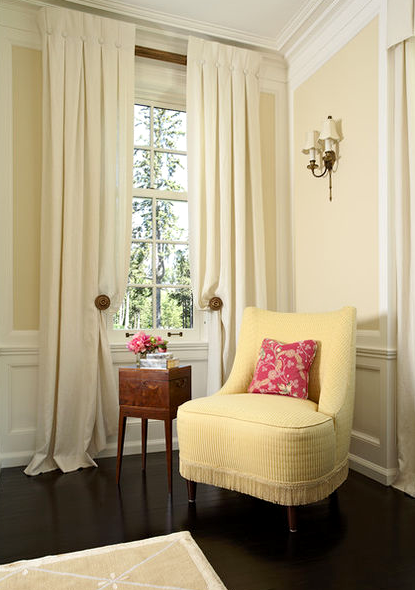 Because the wall color should compliment the sofa, or main fabrics, and the art. People think it’s safe to go with a “neutral” but there are thousands of shades of taupe, or tan, or ivory, and they can actually clash with your major purchases. It’s hard to visualize until you see it with your own eyes. People grasp this easily once we hold the paint fan up to their rug, art, or fabric. When I point to the only two taupe tones that work (out of perhaps 50 to 100 taupe choices) or the only ivory that is great (out of about 50 to 100 ivory choices), they’re happy that they waited. Or – if you have a plan first, you can even go with a more daring color – such as a soothing greenish gray, or a subtle spa blue, something you could never have done without an overall PLAN. 2) Do your homework regarding sizes. Know that a furniture store “designer” might not be advising the right size and scale for your room. Did they ask the right questions? 1) How does the width, depth & height compare to your old sofa? Example, if the sofa you’re replacing is the perfect size in the room, but the one in the store is a larger scale well, you get the picture. 2) What height are your ceilings? A qualified designer will always ask this question. Your 9′ ceilings might not be able to handle the furniture piece that the store displayed in 15′ tall ceilings with NO WALLS. It’s very misleading! 3) Will the new furniture piece overpower your other furniture? We often tour homes in which the chairs are a really small in scale, but the sofa is huge, or vice versa. The homeowners realize they made a mistake, yet due to Furniture stores “restocking fees” they’re stuck with it. Or, their On Line source required return freight charges plus a return fee. There’s nothing worse than keeping something you dislike! Rather than buying lots of little “nic nacs” that tend to look like clutter……consider one large unique piece instead. All those little purchases add up! Example, if you spend $60 plus $75 plus $125 on small art that you don’t LOVE, remember that you could wait and get one nice piece that you do love for $250! This Greensboro, NC client liked that we brought one large piece of art, instead of 3 or 4 small pieces. As one example – furniture bargains found at an outlet would allow furniture to be 45% of the budget, with the remaining 55% available for rugs, floor lamps, window treatments, art, a great chandelier, or perhaps a new mantle or wall unit? When people pay too much for their furniture, then skimp on cheap looking floor lamps, rugs, art, etc, the entire room can feel compromised. type any word “window” or “light” or “paint”. There are hundreds of photos and tips on just about any subject! 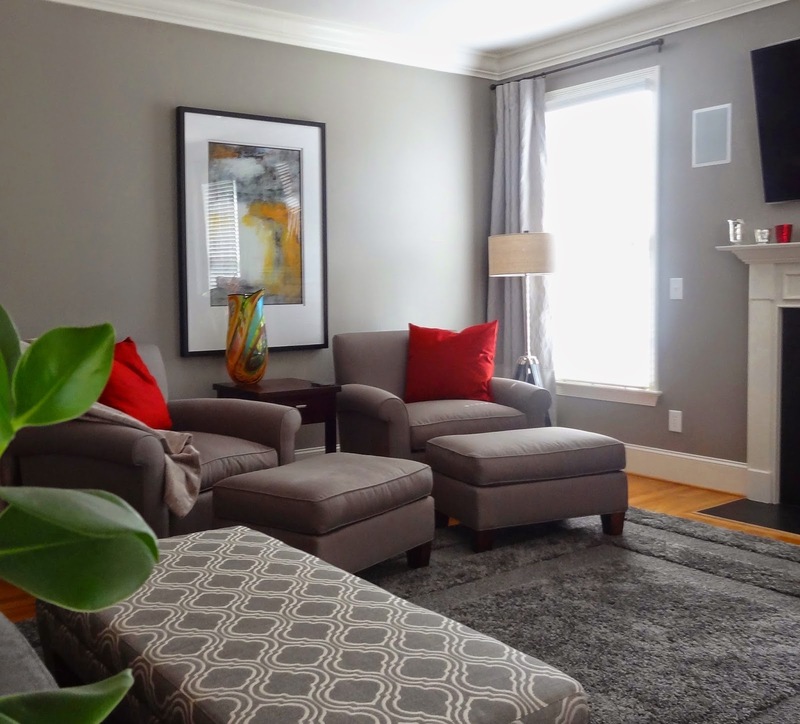 To furnish and decorate a home, go over these 4 design tips about paint colors, size and scale, quantity, and a budget before you dive in, you’ll be glad you did! It helps avoid impulse purchases that you may regret. Comments? We love hearing your thoughts! Click the word comment below…..
After recently moving to a new home, my husband and I have decided that we want to change a few things around the house. Neither of us have very much experience with interior design so I have been doing some research. I think that having a budget is one of the most important things that you can do when it comes to changing things up. I will have to keep that in mind when we go shopping for wood windows, thanks for sharing! You make a good point in explaining that one should avoid in painting the walls because its color should complement the sofa or main fabrics, and the art. I’m planning on redecorating my home, and this is a good advice. Thanks for mentioning that even neutral colors can possibly clash with major purchases. I appreciate the tips!